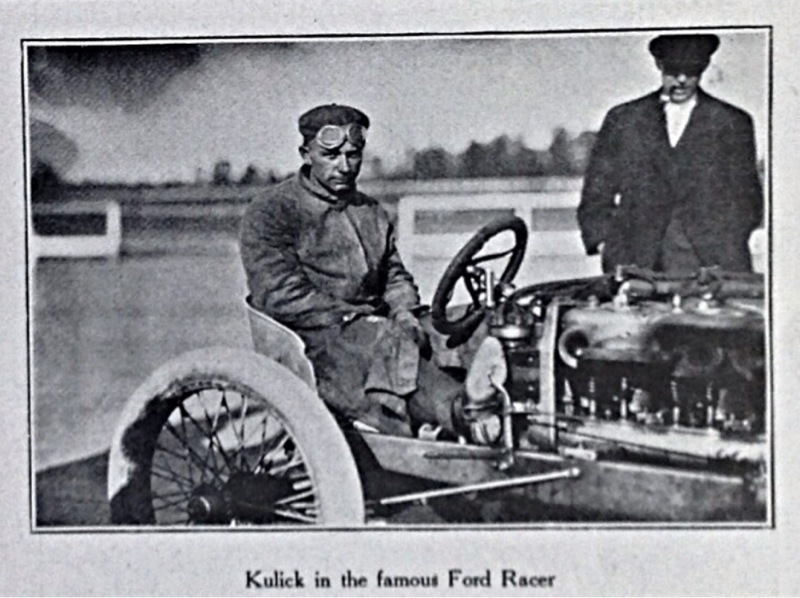 Wikipedia is updated and lists the Ford Model K having the first working example of a Capacitive Discharge Ignition. I use wiki a lot, and contribute a few $$. Big THANKS to Mike Kossor ! Mike is the one who was smart enough to identify the Holley Huff ignition as a CDI. Ralph, I think Wiki is a good place to have new information. Maybe future Ford historians will notice things like this. Dean, yes, Mike did us a great favor by recognizing that the Holley-Huff magneto was actually a Capacitor Discharge system. 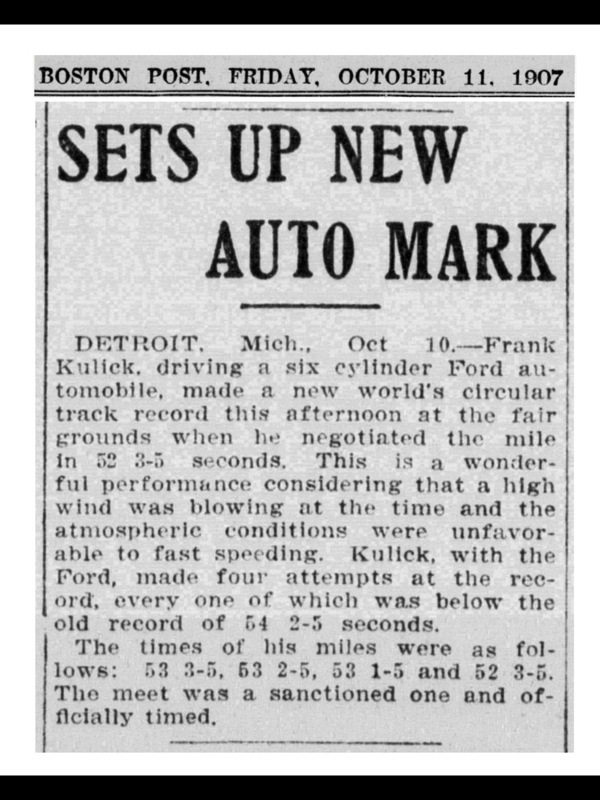 An incredible "first" for Ford. 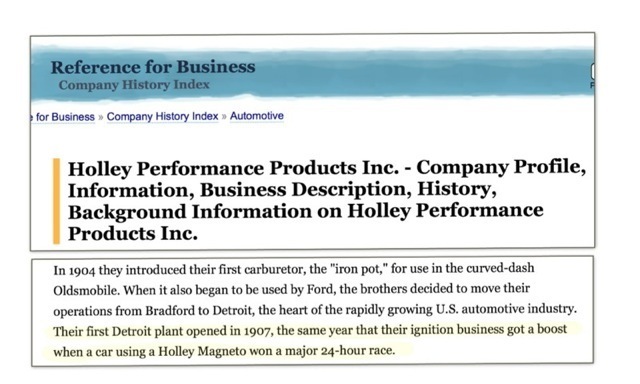 The Model T low tension magneto was also a result of Ed Huff and Henry Ford's collaboration, amazing that both systems were produced by the same men. Yes. Kind of amazing. Of course no one used the term Capacitor Discharge Ignition, and when reading the period descriptions of this "magneto" (I am tempted not to call it a magneto, since it's really a charging device and ignition system) it was sometimes referred to as a "low" tension and sometimes as "high" tension magneto. It really was neither, but a charging device (generator) that built a charge in the capacitor, then a distributor that signaled the charge to continue through a coil and on to the spark plug (hope I have it right). Yes it's true. The patent for the "magneto" clearly shows that it is a CDI, not an inductive type magneto. I don't know when the terms capacitive discharge or capacitor discharge came into being, but certainly sometime after the Huff magneto was built. If it weren't for the tenacity of a few researchers lately such as Mr. Heyen and Mr. Kosser, this probably would have stayed in obscurity. My late father, Lloyd Winterburn was responsible for the first successful solid state CDI in 1962. 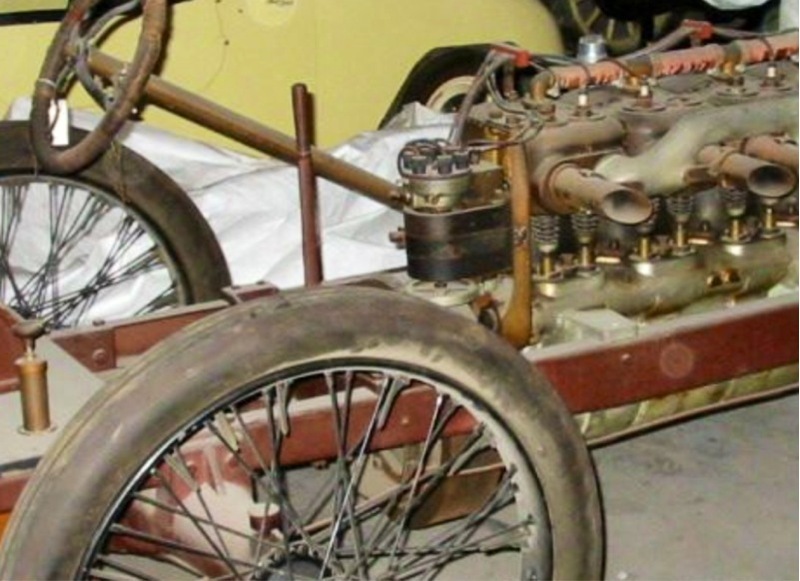 His first car was also a Model T, but I'm reasonably sure he did not know about the Huff designed CDI, even though he had much experience with older ignition systems. 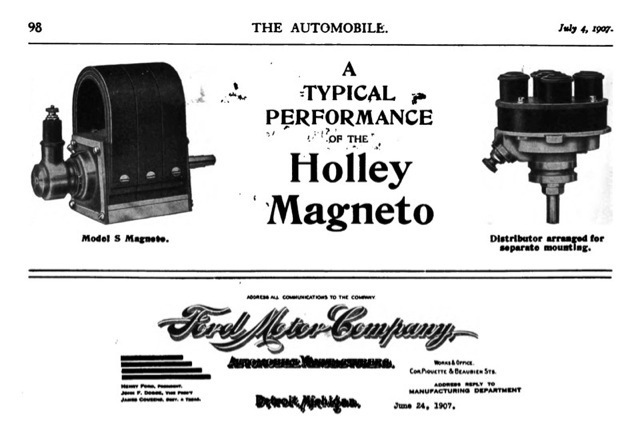 It's interesting that the Holley Huff magneto is very similar to the one my father designed with the major differences being that my father's required battery power and the switching is all solid state. The missing ingredient to make the thing really smoke is that you want to load up the capacitor with a higher voltage than just battery or low voltage generator voltage. I built a CDI from a hobby article when I was a teenager and the key was to generate 300 Volts or more from a pretty stout DC-DC converter that ran more or less full time which then would charge a modest size capacitor (1 or 2 uF) with that high voltage. A key marketing feature was low distributor point current so the points lasted way longer than usual since they didn't carry high coil primary current. When the points opened an SCR was triggered to dump the capacitor charge into the primary of the ignition coil which resulted in a very high energy spark. I don't think my hobby circuit version would add 10 MPH. I think that claim in 1906 may have been really a result of timing advance and not because of the extra spark energy since I don't think the Huff version used a high voltage but I don't know what value of Voltage the DC generator put out or the value of the capacitor either so I will leave that for others to verify. The basic concept doesn't require a higher voltage to still be called a CDI I suppose but the higher energy spark was really dependent on that higher DC voltage on the early CDI versions that were first marketed years ago. I still have a manufactured unit made by "Tiger" stored somewhere around here. They were a very popular add on when I wore a younger mans clothes. 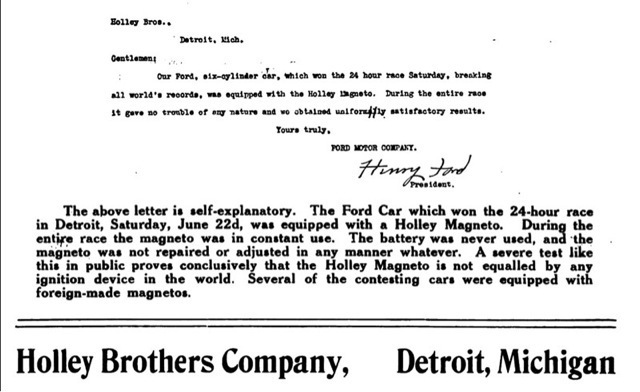 Apparently the "CDI" Huff mag worked well enough that Henry Ford elected to use it on his six cylinder racer, from 1905 through 1909 (the last time the racer was being prepared to race). To tell the truth as explained to me last fall i'm not sure i understood it compleatly.On the other hand i have such faith in the teacher's i would head to the bank with their theory!!!!!!!!!!!!!!!!!!!!!! Bud.